I returned to Hoonah in early April to de-winterise Sänna ready for the summer ahead. 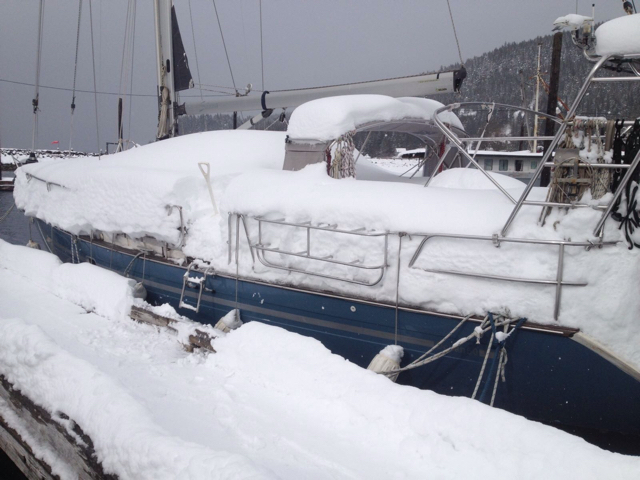 In Alaska the winter is just too fierce to live onboard a sailboat when everything is frozen up. Of course I was highly distressed back in England when I received Braden’s photos of Sänna covered in thick snow, so being worried when I climbed back onboard is something of an understatement. There had been record low temperatures throughout some of the winter months, well below the guideline temperature ranges for the system antifreezes I’d used to winterise everything before I’d left the previous year. There were sure to be some problems and so it proved. back in Hawaii… it was still too cold for salmon fishing in his opinion. Icy Queen was out fishing somewhere though, they had their annual halibut quota to catch before that short season ended… it was sure gonna be tough out there fishing in these temperatures. But the Alaskan spring was coming through strongly and things looked pretty good. That is until I opened the hatch and got inside the boat. There was water and condensation damage to Sänna’s cabin ceilings and things looked a mess, I’d have to get things ship-shape fairly quickly because my step-brother Gary was flying out from England to join me in a few days time. There was other water damage too where the lying snow had caused internal warping on the coachroof linings so I was gonna have to work hard on a refit… but I was in the perfect location to get new timber cut and machined (lumber to you Americans) to re-line all the ceilings and cabin sides. A lot of work but we could finally be rid of the foam backed vinyl ceiling boards that were so irritating. When Gary arrived it was good to see him again and we soon got into the swing of things. But first off we found thick black oil under the engine, then when we got the damn thing started coolant water pissed out from somewhere we couldn’t even locate. To top everything, when we tested the anchor windlass it straightaway burnt out… lying snow water I guess, it had gotten inside the motor wiring and then shorted everything as soon as we switched on the power. But we got things sorted fairly quickly, then we went along to see Wes Tyler at Icy Point Lumber a few miles outside of Hoonah. We agreed that he’d cut and machine all the new wood we’d need to re-line the cabin ceilings but he’d need about a week to get the work done. He told us he’d got a load of yellow cedar from a hundred year old tree his lumbermen had found deep in the forest, we could sure use that he said, finest and straightest lumber there is, he said… we agreed and Wes set too to get the timber ready for us. You can read our blog ‘Slow Grown Alaskan Gold’ telling you all about our yellow cedar refit project and the hard work that Gary and I put in. Whilst waiting for the timber to be cut ready, Gary and I left to sail Sänna over to the fjords of Glacier Bay. We then spent nearly two weeks exploring the glaciers and high mountains still covered in thick snow before heading over to Elfin Cove and Pelican back on Chichagof Island. Through all that time we had continual problems with the engine, having to bail out leaking coolant water and dispense with the black oil leaking from somewhere we couldn’t even fathom. It turned out the coolant was leaking from the freshwater pump so I’d have to order a new replacement then get it brought out from England. Gary and I returned to Hoonah to refurbish the ceilings now that our timber was ready. I can’t describe to you the high quality of the cedar we got from Wes Tyler’s lumber yard. Superb! After around a month Gary left for England and in June my youngest daughter Louise joined me for a couple of weeks, flying into Juneau… and she bought with her the new water pump and spares for the engine. I sailed Sänna over to Auke Bay in Juneau to meet up with her, then we returned to Hoonah where more of our friends were by now congregating… Icy Queen and Yankee Maid had returned from their fishing, also Morning Star with Leighton & Lynda and Chirpy with Paul & Denise and their friends George & April. We had a good time all of us… and by now many of the fishermen in Hoonah had heard there was a new English girl in town. 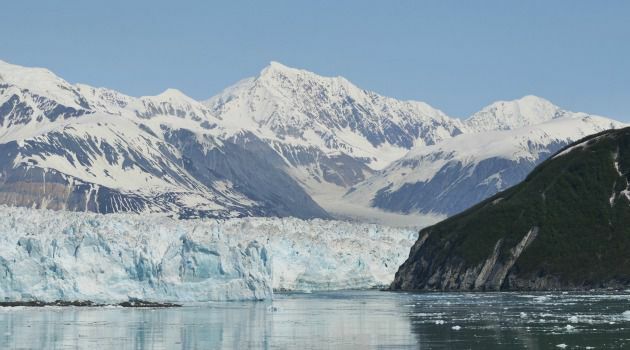 In mid June Louise and I left Hoonah to return to Glacier Bay, Louise’s friend Sarah had arranged to join up with us in Bartlett Cove and we’d then sail up to the fjords and Glaciers. Sarah, Louise’s friend from London was travelling around British Columbia and Alaska before trying to find work up in the Yukon. She flew in by seaplane and we met up at the ranger station. We had a glorious week up in the glacial fjords and were joined up there by Morning Star and Chirpy. 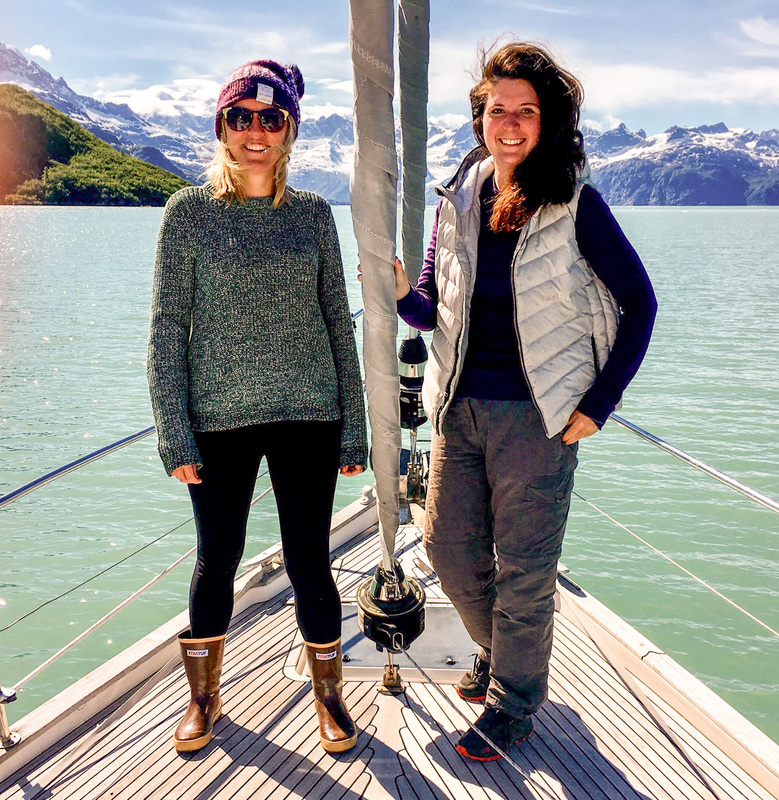 The Canadian crew from Chirpy intended to do some serious climbing in the St Elias mountains, having all the gear onboard that would be necessary – so we all three sailboats met up and anchored in Reid Inlet just off the Reid Glacier. You can catch up with everything that happened with Louise and Sarah by reading our blog ‘A Right Good Alaskan Adventure’. Lou and Sarah expressed their wish to explore Elfin Cove and Pelican which by now was becoming a regular trip for Sänna and the locals there were beginning to know me by name, which is fine by me because these two remote Chichagof Island communities are so far off the beaten track that Marie and I will forever treasure them for what they are – truly Alaskan in the traditional way that’s rapidly vanishing with the growing influence of the cruise ship scourge. We then sailed back to Hoonah through the infamous Inian Pass with the weather beginning to break, the torrential rain that was soon to be a feature of the 2017 Alaskan summer descended in torrents – but we didn’t know at this stage what kind of wet summer we were in for. It broke my heart to see Louise and Sarah fly out of Hoonah by seaplane, especially in the thick cloud and mist of a massive rainstorm that could easily cause the whole thing to end in some stupid tragedy. By now it was early July and I once more sailed over to Auke Bay in Juneau to await the arrival of Marie and Henry from England. Henry, having completed his school exams was eager to join us… and also to fly our new state-of-the-art drone we’d purchased to enhance our filming capabilities for the Alaskan media work we had in hand. Also, whilst in Juneau I’d get the seawater pump Louise had brought out from England fitted by Jim Betts who’d carried out quite a lot of maintenance work on our Volvo Penta over the three previous occasions I’d been in Auke Bay. By now our engine was causing serious problems and I was generally extremely concerned. Our original plans to attempt a transit of the Northwest Passage had already been curtailed because we just couldn’t get the Volvo into a reliable enough state to take the risk, we’d had to put back our arctic transit plans for another twelve months which was all subject to finally being able to get the thing fixed. But, more and more, it was becoming obvious to us there was no way we could get that kind of work done in Alaska. By now I was seriously considering heading south to mainland America to get some serious work done on the engine. But old Jim Betts did a good enough job for now, our coolant leaks stopped though our oil leak was getting much worse. Also, our copper tank for our onboard hot-water storage was leaking and I’d arranged for a new one to be shipped out from the UK, it had been delivered to Jim Betts so I was able to collect it from him and install it myself. It turned out the internal copper wall had corroded to the point that it was too thin to retain the hot water… probably some sort of corrosion caused by unsound bonding or the appalling state of the shore power supply generally found in the far north… Sänna’s problems just went on and on. Marie and Henry arrived and we returned to Hoonah which by now was pretty much our home base harbour. We hired a four wheel drive to get to the interior of the island to get some serious wildlife filming done and went out to the Kennel Creek Cabin. There we got trapped inside the cabin by a big male grizzly but managed to sit it out until the bear went on its way. 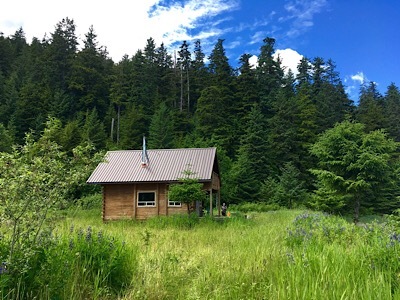 We wrote up a blog about that experience, ‘Wild Strawberries at the Kennel Creek Cabin’, it was a surreal situation and by now the third time we’d had too close an encounter with grizzlies. We started to think we were being singled out. Worryingly and of more concern to us, was the growing number of cruise ship tourists mingling around Hoonah and clogging up the logging roads on so-called bear safari tours. 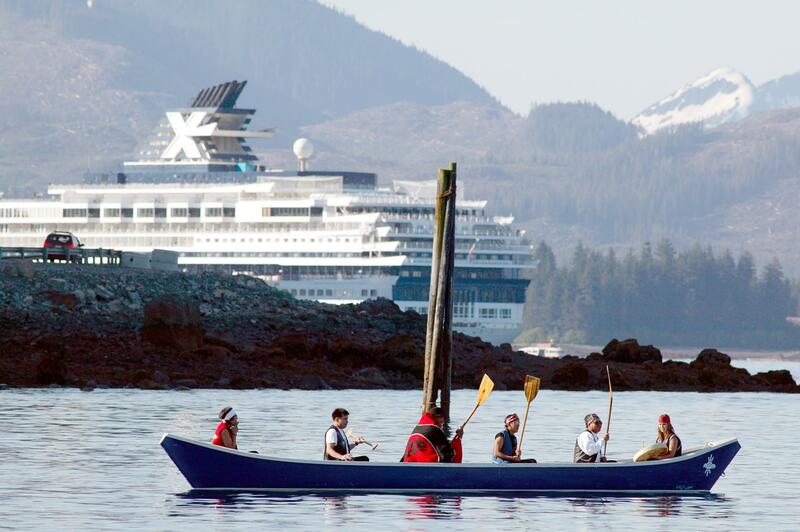 There had been a big increase in the number of cruise ships allowed to dock at the Icy Point Cannery Museum which was also upsetting many of the local Hoonah inhabitants, especially the indigenous Tlingit First Nation people who had little say in matters. Ken from Island Rover told us the cruise ship lines had now received the go ahead to dock one cruise ship a day and this would probably increase to two ships per day in the summer months from 2018. Many locals were themselves thinking of moving on, because they said Hoonah would soon follow in the wake of Skagway, Ketchikan and Juneau by turning into cruise ship hell. This bothered us enormously, these massive changes would force ourselves to move on too because there’s no way we wanted to experience that. Given that our Volvo engine was deteriorating further we had a serious discussion about leaving Hoonah to head south. We could get the engine fixed once and for all and then make plans to either return north for the Northwest Passage in 2018 or to go south to Mexico and then make for Panama and the Panama Canal. So we left Hoonah for one last time in late July. We headed eastwards along the Icy Straits, stopping to anchor in wild and remote Dundas Bay before heading into Elfin Cove for a few days to meet up with Morning Star. In Elfin Cove we were in collision with the fishing boat Lively Jane which caused us some concern but little damage. The damage we did suffer was fixed by the crew of Lively Jane who were eager to atone for their poor manoeuvring and dodgy engine, which gave out just as they were heading for us. You can read that blog ‘All knocked up Elfin Cove’. 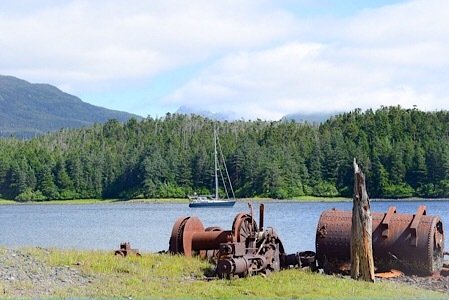 Then we left for Sitka but intended to locate and explore the remote Chichagof Mining Camp along the way, an old gold mine finally abandoned in the late nineteen thirties. It was notoriously difficult to locate and also had the dubious reputation of being quite dangerous, there had been a bad grizzly bear attack on a guided adventure party a few months previously so we were understandably cautious. We found the mine and anchored there a few days but not without mishap. You can read about our adventure ‘The Chichagof Mine’… but please be warned, this read is not for the faint hearted. From Sitka we laid a course south for Craig on Prince of Wales Island then for Prince Rupert in Canada’s British Columbia. The weather by now was worsening considerably with southerly gales coming in one after the other, we had to time our passage southwards but were invariably soaked to the skin from torrential rain for days on end. In Prince Rupert we were yet again stormbound so decided to escape for a few days, taking the spectacular train ride through the Rocky Mountains to Prince George. The two day train journey left from Prince Rupert, once through the Coastal Mountains we found glorious sunshine all the way… plus a large number of raging forest fires that blocked our way eastwards. Once back in Rupert the weather eased a little so we untied our lines to sail the Inside Passage down to Vancouver. From Vancouver we made for Victoria on Vancouver Island before heading over the Canadian border back into mainland US. 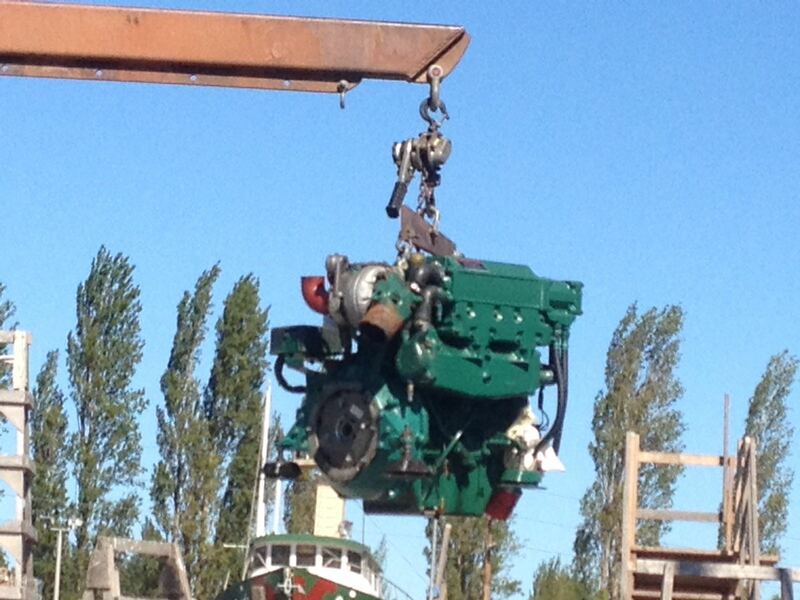 We arrived in Port Townsend in early September because there was a Volvo Penta engine dealer there. We’d finally get our engine fixed… or so we thought. Marie and Henry flew back to England whilst I sorted things with the engine. We’d finally made a decision to keep going south, to San Francisco then to San Diego before heading on into Mexico to overwinter. From Mexico we could decide whether to stay a while in Central America or to keep going for Panama and the Panama Canal sometime in the next year. To head out and down the seven hundred and fifty miles or so to San Francisco meant that we desperately needed to be gone from Port Townsend by the end of September or we’d run into the early winter storms that are a big feature in this part of the Pacific Ocean. Early October was our deadline but we easily missed that. Our Volvo, we were told by Haven Boatworks in Port Townsend, was not worth repairing and they recommended that we repower Sänna with a new engine. The cost of a new Yanmar engine was enormous but what could we do? We talked and talked and then gave Haven the go ahead, we were spending a fortune keeping our Volvo Penta running anyway and we had serious doubts about its reliability to even get us to San Fransisco. 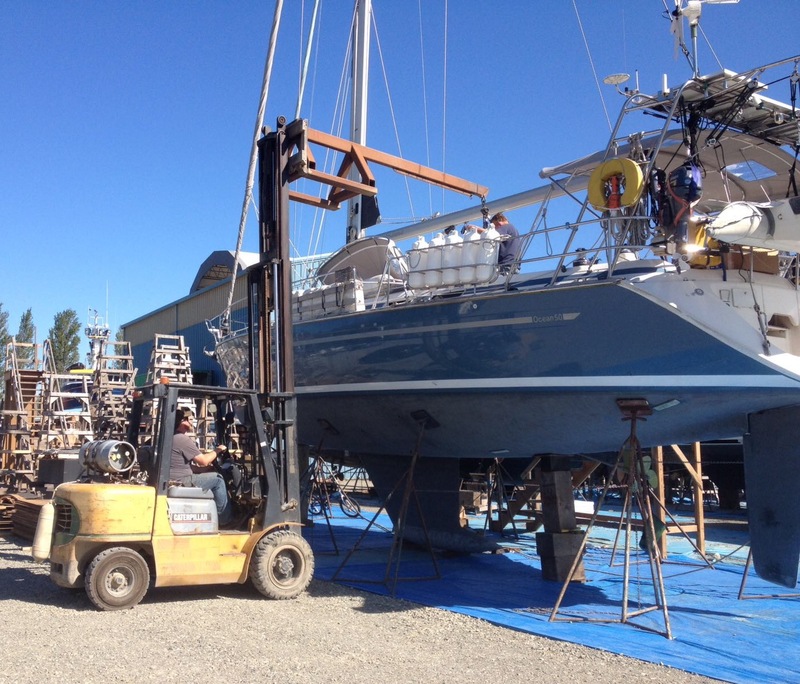 You can read about our somewhat dubious experience installing our new Yanmar engine up in Port Townsend here. But boy, was it good to finally see the back of the green lump of Swedish junk although I have to confess to shedding a tear when I saw it standing there all forlorn on an old pallet in front of Haven’s workshop. In mid-October we finally left Port Townsend for San Fransisco. We were too late in the year and so we got hit by a very bad storm. Our friend Leighton kept an eye on things for us, when we informed him over the radio that we’d broached when overpowered by a big breaking wave that damaged our rudder bearing, Leighton made contact with the US Coastguard to warn them that we might be in trouble. The US Coastguard diverted one of their rescue cutters in our direction, which then stayed with us overnight and throughout the storm. Everything was fine by the next morning so we finally laid our course for San Fransisco, we sailed under the beautiful Golden Gate Bridge – but not without further mishap… please read about our rather too eventful voyage and subsequent storm survival escapade in our blog ‘Storm…’ which, again, is not for the faint hearted. We had a real good time in San Fransisco, Leighton, Lynda and Skip were there although at that time there were serious concerns relating to the California wild-fires. They were burning fiercely around Sonoma and the Napa Valley wine growing region where Leighton & Lynda lived… their home was threatened with destruction so they could not spend a huge amount of time with us. Nevertheless we did spend time with everyone at Skip’s home overlooking Sausalito Harbour where we’d had to anchor Sänna due to the irritating problem of there being very little moorage space for a transiting sailboat, nowhere in the whole of the San Fransisco Bay could we find anywhere so stayed out our week there sitting on anchor, taking the ferry ride into San Fransisco itself… which worked absolutely fine really. Sadly, this lack of tie-up moorage space got worse as we made our way southwards down the US west coast, there’s mind bogglingly vast numbers of leisure vessels of every description in this part of the world which, we presume, emanates from the enormous amounts of wealth that exists in the United States. In any event, there’s little available space and it’s also quite evident to an experienced mariner’s eye that there’s very little in terms of destinations for those vessels to voyage to… so most of them just stay in port and don’t move around very much. Anyway, whilst anchored off Sausalito we visited Alcatraz, China Town and everything else that’s to do with San Fransisco. We loved it. We left a week later, by now it was early November and we needed to cross the border into Mexico. Our way south was through San Diego where we’d go through Customs exit procedures to get our zarpe and the port clearance documents we’d need for the Mexican authorities. 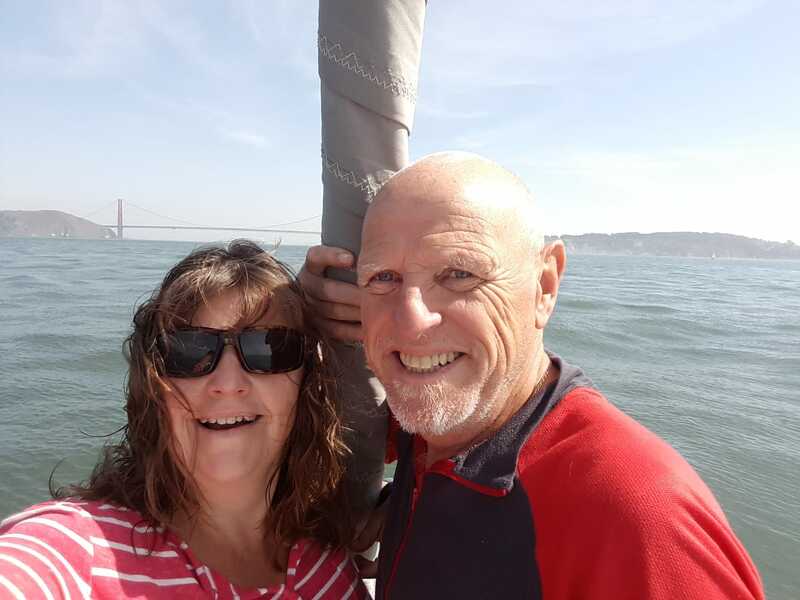 The four hundred mile voyage to San Diego should have been fairly straightforward but once more we were treated to a tough gale coming up from the south. Not wanting to repeat our torrid experience three hundred miles out from San Fransisco we headed into Santa Barbara to take shelter. Staying for one night ended up being three nights because we quite enjoyed the place… there’s something extra special about California that’s hard to describe. Nevertheless we needed to push on and San Diego would be our last US destination, being right on the border with Mexico. Hello Mexico… we crossed the border after motoring the whole of the sixty miles to Ensenada to undergo Mexican immigration and customs procedures. These went without any hitches or problems whatsoever… which goes to show the numerous warnings we’d received from American mariners were largely locked within their paranoid imagination. It was easy and straightforward. 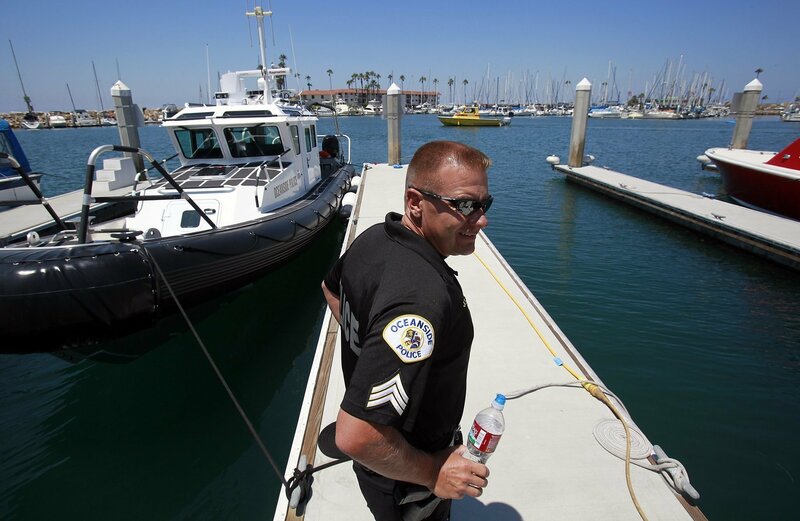 Then we found free moorage in Ensenada’s Cruise Port Marina which was incredibly expensive and not what we expected at all… but it’s all about the Americans who have big bucks in their back pockets, that is what we supposed anyway. It was truly sad to leave the United States and Canada’s British Columbia. Although we bemoan the American way of doing things (they melt the most awful cheeses on everything) the yanks are the world’s inevitable fall guys and we ourselves just love to be around them. The friendliness of the yanks is something special. “See yahs” is the way we say goodbye back in my own hometown in England. Dave. Ensenada, Mexico. December 2017.